Not sure how it happened, and I didn't see what happened I'm only going from what's been said. There was a backdoor used to gain access to the server which sent people to random servers and caused graphical issues for users. I'll have the server offline redoing the entire server as when it was set up I had a lot of people working on it at once. I still don't think there was a backdoor, but it's possible. Not all my addons were gmodstore addons. I used some websites that communities posted addons that weren't good enough to be in gmodstore or were rejected so instead they post it there. Either way. Server will be down for a bit, pulling an all nighter to get this done. I don't mind it because I needed an excuse to get myself to redo the entire server. The PlexRP store has been changed from on this website to http://plexrp.tebex.io/ instead. This is where all donations will be from now on. PlexRP | Development. The start. Welcome all to my first DarkRP server. 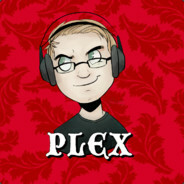 PlexRP. I know there are a lot of questions about many things and I'll try to get to all of these in this post. Donations from MallRP are NOT being brought over. We are starting new for everything on PlexRP since it's a new server. The donations made here will be archived into an excel so I may gather them in the future may another server end/start/change occurs again. This way you can keep what rank you get on this server. I didn't do that with MallRP and I don't have a way to gather the needed files. Leaving it behind saves time, confusion, and supports the current server. Where does my donation money go for this server? I want to make our intentions clear for this server and have a talk about what the plans are for donations. If you are considering donating then please go ahead, it's not required but it's highly appreciated. The current amount I've put into the server is around the $200 mark. Though the server isn't fully there yet. For the first donations we get on PlexRP all the money will go back into the server in the form of addons. VCMod is going to be one of the first ones we buy. The server is hosted for free through Crident Hosting, I do recommend if you are looking for a server to buy there. It's been nothing but a breeze so far with running this server. We're going to start taking the server offline each week ( Monday's @ 10am EST ) to update and add things that needed to be inserted in the server. My servers haven't been the most reliable. They go down fast and that's the end. Though PlexRP is going to get a spot on my list of servers that will always be up. I've had a Minecraft server up since 2014 with max 6 month downtime because of personal issues & hosting issues. PlexRP will be treated with the same respect. I will make regular backups and be in contact with the community as much as I can. This server is NOT going down anytime for the foreseeable future. We're adding VCMod and a few other cool jobs/classes. More money making methods will be added overtime and the economy will be stabled out through price reductions in methods. If you have any suggestions on pricing methods you should post in our suggestions area of the forums. The help would be greatly appreciated. Same goes for if you have any jobs you'd like to see in the server. We've reached out to some people already and secured their staff positions. If you are interested in becoming staff we'll be opening up staff applications in the near future. Be patient and watch the "Staff Applications" section of the forums. If I've missed anything please let me know down below and I'll be sure to answer to it. If you have private questions you can simply PM me on the forums, contact me through discord ( Plexiate#0001 ) or email me ( Brian@plexiate.com ) and I'll get back to you as soon as possible. A legend returns. Also thanks for 260 profile views. G'bye. 7th post on the forums! "greetings! i am a young traveller seeking landmarks i am grandestnan i was here on 9/6/2018 happy 0,0" You posted that sign right next to my unprotected chests with diamonds and emeralds, thank you for being honest and not stealing anything.